Isamu Noguchi (1904-1988), a Japanese American artist known for expanding the traditional notion of sculpture to include furniture along with monuments and memorials, dance sets, gardens, playgrounds and fountains. Embracing traditional Japanese forms for design, Noguchi expressed his heritage in his works bringing modern design to the home with an organic feel. 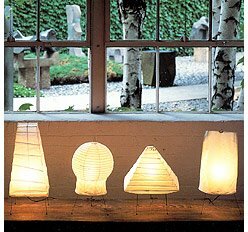 Take for example, his Akari light "sculptures". In the 1940s, Noguchi started to develop these seemingly weightless illuminated sculptures in abstract shapes, fusing together the simplicity of Japanese aesthetics with contemporary design. Have you ever visited the Noguchi Museum in Long Island City, New York? His original lamps, in production now for over fifty years, are as timeless as your blue jeans, they'll forever fit your modern space. His furniture is beautiful, too. 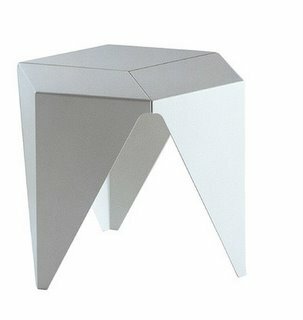 I'm sure you'll find a lot of items on the Noguchi store website that appeal to you. If you're on a budget, allow the shapes to inspire you - maybe you can find something in the Noguchi style at more affordable prices elsewhere. Enjoy!